RoboForm is an application that can assist you in speeding up your Internet experience by bookmarking sites and entering previously saved passwords. "A fairly competent password manager"
Thank you so much for taking the time to review RoboForm! We're really happy to hear that RoboForm has been a great professional and personal resource for you. Regarding your hesitation, we certainly understand your security concerns and we want to do everything we can to allay any fears you may have. First, know that security is absolutely our top priority. When you install RoboForm, all decryption of your RoboForm data happens on your device and not on our servers. Additionally, we have no way of knowing what your Master Password is because RoboForm does not transmit it to our servers. We also require a minimum Master Password length of 8 characters, with a minimum of 4 nonnumeric characters, and we advise to not share your Master Password with anyone. It should be something you and only you know. lastly, if forgotten, as a security precaution, all protected data is deleted during the reset process. Should you have any questions regarding RoboForm security, please do not hesitate to reach out. Thanks! "Maximum security for the use of my passwords at work"
The great solution that this software has brought to my work environment has been to give me higher levels of security in the handling of my passwords, thus avoiding the theft of my passwords. It also serves as a reminder of my passwords, this in my work is very important because for security every so often we must change the passwords of all the software or accounts that we manage. What Password Manager solution do you use? Since I have been working independently, I have been very concerned about the security of the accounts I use for social media manage, since I depend on them to generate income. In that search for software that managed and protected my passwords, I got Roboform. Thanks to this software I have been able to have more security when managing my passwords and my work has been made much more productive thanks to this central panel to manage my passwords. "My passwords are much more secure since I use this software"
Roboform is a high performance software that allows me to store my passwords in the safest and fastest way. It has an interface where you can register a user and from there store all the passwords you want. This software I use a lot in my work environment, since I manage email accounts where we store information, accounts access to the cloud, and special passwords to access the programs specializing in organic and experimental chemistry. I can customize my interface and create folders where I can host all the passwords you want, being very functional because it works as a password reminder, and also gives me security because only I with my Roboform password can login to my session and use the passwords I have stored in the software. I believe that there is a problem that this software has and that must be resolved in the shortest time by the department of development of this software and is that when I lose connectivity with the Internet, the software is almost useless, limiting its use and therefore generating significant delays in my daily work dynamics. I recommend it to all those small, medium or large companies that need to centralize their passwords in a work team, as Roboform provides high levels of security for the handling of these passwords and everything from the comfort of the PC. Without a doubt it is a software with great benefits that will increase your productivity as workers and as a company. Roboform has been and is a marvel for the development of my work activities. Before using this software I had great problems remembering all my passwords, besides, I had security problems since I had to write the passwords in a notebook, and anyone who took my notebook had access to any of my accounts. Thanks to this software, I no longer have this problem. "Roboform is the best password management system with offline/online/and cross-platform support"
1. The website form filling functionality in RoboForm is best in class. The software automates filling your personal data such as login information in to web forms. I have tried many password manager applications and the form filling in those other applications always left something to be desired. The ability for the password to match to the URL of the website works flawlessly the majority of the time. 2. The ability to use the online version and the offline version on the PC as well as on mobile devices including Android, and Apple iOS devices is very convenient. 3. New Passcards and bookmarks are automatically synced to the cloud by default. 4. I like how RoboForm supports two-factor authentication, the ability to securely share logins via e-mail, and it contains one of the best password strength assessment tools. 5. It has one of the better secure password generator tools integrated in to the browser plug-in and the desktop client interface as well as in the mobile clients. 6. Once your credentials are stored in the cloud the Security Center feature identifies weak and duplicate passwords. 7. The latest versions support digital inheritance, named Emergency Access, which allows you to set up the program so that an heir of yours can get access to your data if need be. If your emergency contact requests access to your account, you get emailed. If the owner of the account is still alive you can disable access to that emergency contact or if the time out expires your emergency contact gets full access to the account data. 8. Secure sharing can be utilized to send or share a RoboForm passcard entry to someone else. Both options require you to enter the recipients email address. If the share option is utilized then any changes to that shared passcard are synced to the recipient (the person you shared to via email). If you use the send option changes do not sync. 9. I liked the Free edition supports Unlimited logins, some competing products limit the amount of logins that can be stored. For hardened devices such as servers I like that I can install the free or professional version and the passcards are stored locally on the device, if cloud is required then it can be licensed easily to support the professional features. The passcard information is stored locally on the computer device so if there is a loss of internet connection the passcard information is still usable, it just won't be synced until the internet connection resumes. 10. The software feels very fast, after having the software for 5 years and upgrading over time it feels just about as fast as it did originally and more features have been added since ownership, so that is impressive. The client is fast and the web browser plugins, for most browsers, are easily added and do not slow down the web browser in most cases. 1. The password generator default settings are not optimal as they are not secure, so they have to be changed, once they are changed however the settings stay in place for future secure password generations. 2. The price has increased over time as more features have been added. 3. The software can seam a bit bloated compared to some of the competitors. Some environments and end users do not need all of the features but the features are always there in the interface and cannot be disabled as to not be displayed, leading to the feeling that the software is bloated. 4. The web form entry save function is not perfect and can be improved with better logic. Likewise, the website form filling functionality is not perfect and could be improved. 5. The web browser plug-ins can break if Google Chrome or Mozilla Firefox web browsers for PC are upgraded (and most browsers nowadays do update automatically). It is fairly easy to figure out that RoboForm needs to be updated in order for the web browser plug-in updates to be implemented properly and then the web browser pick up the updated plugin, but the process could be more seamless to handle updating itself when the web browser is updated and the existing RoboForm plugin detects that it is not working or has broken. Use the trial and make sure that all of the features suite your needs. 1. Increased productivity in case of passwords being forgotten or access denied from incorrect password entry attempts. 2. It has reduced the effect of requiring password resets by Administrators due to users forgetting their passwords. 3. Reduces the risk of potential security breaches as passwords are stored encrypted and do not need to be "written down" as most secure / long passwords would need to be. Outside dictionary style password attacks are basically thwarted if long and secure passwords are generated and utilized by passcards. 4. The form filling feature helps save employee time trying to guess the right password. Minimizes the chance that employees will use non-secure passwords or the same password repeated over many websites or applications. Roboform insists popping up for every login you do even if that login and password is saved. The mobile version adds a little icon on your login pages but doesn't seem to work on my android device. There are occasions where Roboform won't fill in the login and password and they must be manually populated. Security is word of the year, make sure your logins are saved and safe. As i work in the software industry, I have multiple servers and applications that I have to login to. Most of them also have a requirement to change the passwords every x number of days. Roboform keeps track of all these application and server logins securely. "Solid product with room for improvement"
Roboform Anywhere feature syncs between different computers and devices. Every platform is supported. Business version of software supports personal and corporate identity repositories at the same time. Automatic filling out login and forms is easy and better implemented than LastPass and other competitors. Multi-step login forms aren't supported. Complex web page forms often fail to save properly or simply don't allow saving. Manually setting up identities is extremely difficult, managing them is even worse. Even after spending 10 minutes grabbing ID tags and manually entering fields in an Identity still often fails for no good reason. Appears that some never website technologies that use complex AngularJS coding often have problems ranging from minor to newer going to work. Some of these problems are also common with LastPass and other competitors. Pricing per user is expensive for a corporate license but worth it compared to competitors. Be sure to download and test out all the competitors. You don't need to do full implementations to see the value and in fact it can be done with all the contenders in a few hours. Allows me to use a different and highly secure password for every system/website and not have to memorize them. The use of one complex master password committed to memory makes using secure passwords realistic. "Wouldn't dare be without it!" I have hundreds of logins and I never have to remember what they are. I wish we could make folders to better organize our bookmarks. Honestly, don't walk... run to the buy button. Here's the reality. In this technology-driven world, you will end up with more logins than you ever expect to have. Sure, you have the perfect username and password, and it will work for most things... for a while. Then, you will be forced to create passwords with special rules that your favorite password does not meet. Two passwords are manageable but two will turn into ten. Let's not forget the sites that expire passwords and won't allow you to reuse a previous password. Trust me, trying to track logins manually is a nightmare. Successful people use tools that save time, energy, effort & money! Roboform is that tool! I use it to save logins and to bookmark web pages. I save a lot of time using Roboform. I never lose logins and their search feature is the best. "RoboForm is a password management software offering additional security and convenience of usage. " RoboForm does not require any payment since it is a free software. It is easy to download and install in your devices. Once you have selected your master password, you can quickly log into the web and transact at you pleasure. Once you log in, RoboForm will automatically save you login details. You do not need to remember your password constantly. RoboForm works on all platforms which include Windows, Android and iOS. The passwords generated by RoboForm are robust, secure and not vulnerable to the hacking system. Further, all the annoying and distracting ads have been blocked, making you concentrate on the assignment at hand. I don't see any dislikes in the software and it completely suites my needs for remembering the passwords. Only one minor area of improvement is the Android app's security check as it has single authentication. Wherever you go, your RoboForm Login features will be accessed easily by any device you are using. For all you business and personal data protection, look no further than RoboForm. You will enjoy the simplicity and security you need to stay ahead of the online threats. Roboform holds my entire life. I have well over 500 websites and logins. This is a crossplat form app that is on my PC, my laptop and my iphone. It stores all my passwords and keeps my identities so that I can autofill forms and credit card information with just a click of a button. It doesn't work with our MLS site and the iphone app can be a little cumbersome. "RoboForm is the safest password manager. " It is the most creative program I have used, as it is pretty simple to use whenever and wherever I want to. RoboForm takes care of remembering the passwords for me and I don’t need to type or remember any of the passwords for any previous site I have already logged into. RoboForm provide a feature which allow me to generate a new strong password automatically with as many character as I want. This can be done within a few seconds. The best part is I can use it from my Android smartphone just as I am using the desktop version and doesn’t require me to sign out of the desktop before using it in my Android. So, it works simultaneously on both the devices. The only problem is that it doesn’t operate well on windows 8.1 as it requires some extra files to be downloaded which aren’t found on windows 8.1. This should be improved in the setup itself. Since it provides you with the best possible security, it is definitely a tool you should have in your laptop. I really can’t do without RoboForm as it secure my emails, online data and company data from getting hacking and stolen. It offers some unique features which saves my time and effort like is Automatic Synchronization via RoboForm Everywhere account, Excellent User interface with all modern browsers supported like Chrome, Safari, Firefox, and Opera. It works on all available operating systems like Mac OS, Linux and Windows. "Excellent password manager to keep my credentials safe and secure"
I have been using RoboForm to keep all my passwords safe and secure at a single place and easily applying the passwords whenever I need to login using the saved passwords on various websites. It also provides a password organizer which allows me to automatically create more secured passwords which are not easy to crack and also syncs all my passwords across different devices which I use. Apart from saving username & passwords, it has the ability to store confidential and sensitive information which includes credit card details in its digital wallet which can be used while making payments online and thus saves my time and effort for the same. While using the auto fill feature, I have found that some fields doesn’t get populated although I have provided details for the same while storing the details in RoboForm account. RoboForm will protect you from the phishing attacks and other vulnerabilities regarding your online security which can rise due to weak passwords and makes you secure. Roboform has a very useful feature in which it can recognize the exact URL links of the websites I have logged on to and would prevent the fraudulent phishing attacks for fake URL pages asking for username and password by denying the login if it doesn’t match the exact URL and seems to be suspicious. I can also restore any recently deleted item and also clear the recent changes made from the storage of RoboForm platform to avoid data lost accidently. It will also ask for a one time code if a new device is being used for accessing my RoboForm account for authentication. Running a digital marketing agency means that we are dealing with literally hundreds of username / password combination for our own apps and those of our clients. Roboform allows us to login once to a site at which point it stores that login for future use. When you re-visit that site, a single click logs you in. This core feature alone is worth the price. The fact that it automatically syncs across all the devices you use makes it amazing. I have been using RoboForm for many years since it was first released. There is nothing I do not like about the product. If you are looking for a secure, easy to use password / login manager that syncs with all your devices, get Roboform. It's easy to use, fast, and secure. Saves me time every day! Roboforms saves time. Time is money. So Roboform saves me money every day. The apps annual cost is probably saved in time on a daily basis. Roboform also provides security for the user login details for our apps and those of our clients. Much safer than stored somewhere on a spreadsheet. "Il miglior programma per gestire tutte le proprie password"
Roboform è davvero un programma stupefacente. Permette di gestire tantissime password tranquillamente e comodamente. In questo modo si risparmia tantissimo tempo e la velocità di apertura delle pagine con dati da compilare. Oltre alle password si possono anche gestire e salvare profili e moduli senza alcun problema. Questa funzione l'ho scoperta dopo un bel po che utilizzavo il programma solo per le password. Il sistema di gestione le password con più dispositivi mi fa pensare un po e mi da un po di dubbi sulla sicurezza. Il preferisco la versione con utilizzo solo dal computer dove è installato. Da provare la versione free per iniziare che vi consente di gestire fino a 3 password. Poi vi consiglio assolutamente di prendere la versione a pagamento che costa soltanto una decina di euro . Pochissimi spiccioli in cambio di tutto quello che vi offre. Se si hanno vari computer in rete basta mettere la cartella di salvataggio del profilo roboform nella rete interna per permettere di condividere il programma nella propria rete privata! Senza dubbio sulla concorrenza sia per il prezzo che per la facilità d'uso questo programma non ha alcun rivale! Sono passato dalla versione prova che permetteva di gestire solo 10 profili alla versione a pagamento ( che costa solo 10 euro) nel giro di pochi giorni. In questo modo per quei pochi euro posso gestire comodamente tutti i profili che voglio senza alcun limite e inoltre è possibile suddividerli in cartelle per chi come me ne ha davvero tantissimi e a volte ci si perde! "Non so proprio come farei senza roboform"
Posso certamente definire Roboform il miglior programma di gestione password esistente in commercio. Lo uso ormai da cosi tanti anni che ne ho perso il conto. Uso la versione desktop non la versione worldwide. Ne ho talmente tante di quelle password che ho inserito nel corso degli anni che dovrei fare a breve una pulizia. Davvero ottima la funzione di creare cartelle per dividere le password in gruppi. In caso si hanno 2 o più computer sulla stessa rete è possibile mettere la cartella di salvataggio di roboform in una cartella condivisa in rete in modo da essere accessibile su tutti i computer e usare roboform tranquillamente. Non ho mai usufruito del supporto clienti in quanto non c'è mai stato bisogno. L'unico fatto negativo puo' essere nella compilazione dei moduli su schermate che richiedono 2 volte lo stesso valore ..come ad esempio la compilazione di un indirizzo dove è presente il campo mittente e il capo destinatario con gli stessi valori richiesti. Provate la versione free. E' illimitata e vi permette di provare il programma anche gestendo 10 password massimo. Ve ne innamorerete cosi come è stato per me. Poi direi che il prezzo di questo programma è davvero eccezionale. Costa davvero pochi euro all'anno e per tutto quello che fa è davvero stupendo! Si risparmia tantissimo tempo. Invece di mettersi a cercare la user e la password di ogni accesso al sito con roboform basta solo 1 click per compilare automaticamente il modulo e andare avanti. Anche in presenza di altre persone vicino roboform ti da un ottima privacy in modo da non far vedere la password inserita. Consiglierei anche l'uso della versione worldwide in modo da essere usata su piu' dispositivi anche non sulla stessa rete. In caso di compilazioni di moduli fa un ottimo lavoro. We rolled this out to our staff to help increase productivity. Instead of typing the same information in online forms, they save them in RoboForm. It also is great for IT because we don't get as many requests to help with forgotten passwords. It's very stable once installed. It's easy to use for the more tech savvy users, but the non technical users have a hard time getting it. They don't quite get how to edit/update passcodes/data, even with some training. Though the same can be said for all other programs. There is a management console if you're looking to share passcodes. Instead of typing the same information in online forms, they save them in RoboForm. It also is great for IT because we don't get as many requests to help with forgotten passwords. It really seems to save users a lot of time. "Excellent tool for Password Management and Form Filling"
RoboForm has got very powerful features when it comes to filling up the Web forms with my own personal data. It also handles the passwords of applications much better than LastPass. The single tap toolbar button allows you to generate a strong and random password quickly. It also provides two-factor authentication with both fingerprint and smartcard, but for that you need to have special hardware. It also allows accessing the Roboform account from anywhere with an Internet connection as it auto syncs all the device data into a centralized server of its own. Roboform has got their own native browser for tablets which looks nice, but it has a major problem in it that you can’t take a screenshot. I get a warning related to something called DRM protection. While surfing Internet, I often need to take screenshots, but I am unable to do so. This is the only problem I can see in Roboform. I would suggest that it is a very good choice since it auto-sync the passwords across all your devices, and it is absolutely free to use in case of mobile, with no desktop installations. It protects my information against the security vulnerabilities which can arise because of weaker passwords. It also has a feature for automatically setting it to save the personal information like Name, Address or Birthday, along with passwords. It can be used on Windows, Mac, Android, iOS and Windows phone from anywhere, which provides convenience of accessing it from anywhere I go. "Password Management at it's finest... but it's unnecessary "
Roboform is a very useful program that allows you to keep your passwords synced across you Desktop, laptop, mobile phone and tablet devices for a very small price, it's presentation is very nice, and it's simple to use. The fact that it costs, an application like this often forgets that it can be undermined by simply writing the password and username on a pen and paper, $9.95 a year for an app like this and then 19.85 is simply preposterous when you can use applications like Office and whatever phone device version of notepad the individual reading this is using. If you have the cash to spare and want to save paper, then I recommend using Roboform, it's obviously much cheaper than keeping everything on paper and it's helpful to the environment, other wise just stick to a note pad or your phones version of notepad, and save your self a tenner for the first year and 19.95 for the second and any other. If your company gives out predetermined passwords that are long and complicated then Roboform is for you, it's most useful feature is that if you have it on your phone, you can take the information along with you. RoboForm is a software that stores passwords and auto-fills forms (as well as some other features for bookmarking, etc. that I did not find particularly useful). The site and application is very easy to navigate and use, and it is perfect for people who are short on time and need help remembering long/numerous passwords or easily filling multiple forms. It is supported by several operating systems and has features that are appropriate for users with varied levels of experience with software. The site does not clearly explain how the passwords are stored and encrypted, which makes me less likely to want to store sensitive information (credit cards, etc.) on the application. Furthermore, the support on the website is quite slow and unhelpful (taking upwards of 12 hours to get a reply). Lastly, I tried this product as a free trial but the full version can be quite expensive (19.95 dollars per year). I would consider using this software if you want an easy-to-use way to store passwords and auto-fill forms. I would be wary of storing important information/sensitive passwords this way because they are unclear about how they encrypt your information. I would also steer clear of this application if you are looking for good support. However, the available features work very well and it is easy to use! In my profession, I am required to have several email and personal accounts and I like to have different passwords for different accounts. RoboForm helps me keep track of these passwords. The auto-form filler is also useful when I am registering for conferences/teaching sessions. "Can't make it through the day without it"
I'm probably registered on nearly every site I've ever visited and I try to always use unique passwords for each site. That's where RoboForm comes in handy. When I'm on the go, I have RoboForm on the go as well so that I don't miss a beat when checking all the community forums I'm active in. If I had to remember any of those passwords by heart I'd be in trouble. I also order a LOT of stuff online, from everywhere... daily. RoboForm keeps my addresses, emails, families addresses, emails... everything all nice and accessible for me and saves me a TON of time. A lot of sites have different setups for where/how your personal details get filled out and RoboForm does an excellent job of determining which boxes mean what (birthdays, apartment numbers, countries; information that not all forms require across all sites). Obviously I'm not completely against a free version but quality like this does deserve to be paid for. So I can't really complain in terms of that. If you're looking to use this program simply only for a password saver - there are other free programs that are much easier to use (and again, are free). I mainly use RoboForm for filling out personal information online on multitudes of sites and it does a great job of sorting my identities (different emails, addresses, phone numbers, etc) into the appropriate boxes. "Don't need to remember my username and password anymore"
It helps me to remember ALL the usernames and passwords for ALL the websites that I visit. I just need to click on the icon on my menu bar and find the account that I need to log in. It's real simple and easy to use. The popup message keeps showing up every time I log into the same account, even though it has already been added into Roboform. It's annoying! System should detect that if the account has been saved, popup message shouldn't be showing up anymore. I need to deal with many of my clients' accounts which include different logins and passwords. With Roboform, I don't need to remember them anymore! "Very useful tool for password management"
I've been using it for ages on Windows and Mac. It was very useful as it kept all my passwords secured in one place and allowed me to access them using master password. I had to drop this app because it did not support sharing passwords with other team members. It could use this feature and reach new type of customers- business! If you are looking for business password management tool with password sharing option - look elsewhere. If you are looking for personal password management tool, you just found the right software! Amount of time saved with this app was enormous! I did not have to store the passwords on my own, Roboform took care of everything, even with creating new strong passwords. "Form filling done nice and easy!" I tend to register to every single site i visit, like every single one. So i used to spend a lot of time filling up those long forms to register into forums, blog feeds, news sites, etc. I met RoboForm a while time ago and haven't looked back although i only use it on my phone now. I did have to work using a CRM once, and they had me use this big and weird password. I had it setup in RoboForm so every time i needed it would be there in a couple clicks for me to use. I wish it came with my system right away, so i wouldn't be thinking about installing it every time i change my OS or Phone. If you're into community / developers forums and you get registered to every single one you visit, this one can be your time saver. It can save you lots of time. Encryption and the comprehensive platform support with all the mobile and client operating systems supported. It is very handy to have the same complex passwords on my Windows 10 Phone when web browsing in addition to my laptop. One license works on all of my devices and automatically syncs between them using AES encryption on the master password which is a very complex password as well. Their implementation is very secure. I don't dislike anything today. The only dislike that I have is from several years ago when they did not support the Windows phone platform. The finally developed that version to go with the iPhone and Android mobile versions. Granted the Windows phone community is much smaller so I understand why it was behind the other two, but with a product like this, the mobile platform that everyone uses which is going to be one of those three is a true requirement. You will need to use the mobile client as well as desktop version as the complex passwords will be impossible to remember. So plans must be made ahead of time to implement across all devices that access the web concurrently. Users are able to use different complex passwords with their websites instead of the same one over and over which provides them a much higher level of security than before. In addition, the AES encryption based on the user selected master password takes that security to an even higher level. RoboForm makes it easy for businesses to securely share relevant passwords amongst employees who need to access the same websites or software. In my line of business in particular, this is highly important. Sometimes the user functionality is not the easiest to understand without some degree of practice. It was difficult for me to get used to the platform until I had someone walk me through it, which isn't always the case with software or applications. Make sure that you have some time to spend getting used to the program. It is not immediately easy to understand without some time taken to understand the layout and how password sharing and password saving works. We have definitely utilized RoboForm to help us with the security implications of sharing passwords. This job in particular needs to have secure password sharing capabilities and RoboForm has filled that need. Saves time when having to switch from many accounts to the others. All of my passwords are there, I usually have to switch from many bank accounts to others and then at times they all require me to update my passwords at different times of the year and that can get confusing. Could have a better design, looks very old school. having to reset passwords because of forgetting them. We recently updated the design on our Android and iOS applications! I love that it safely stores my passwords and I don't have to worry about forgetting passwords. This allows me to create more complex passwords and not worry about making them easy to remember. I feel a lot more secure with it. I recommend this product to anyone, but especially those who are working in a field where security is important. With this I am creating a more secure work environment, and the ability to create complex secure passwords has really made me feel more secure online. "Don't waste time inputting details, use this and save time"
Having lots of different accounts on-line often means having to input your personal details over and over again. This isn't the case when using RoboForm where your details are instantly in putted and you're logged in straight away. Saves me a lot of time and effort of remembering every password and then having to get it changed because I've forgot what it was! I also love how it works across all platforms and browsers. Great to know all my personal details are safe and backed up and I never have to worry about form filling again. The product is subscription based so if you don't keep on top of this it will stop working which could be problematic. Buying it outright would be a good option. If the product was to fail I struggle to see how you would recover all your information. You are placing a lot of faith in the product. If you spend a lot of time filling in forms on-line and have multiple passwords you need to remember then this is the product you need! A lot of time can be wasted filling in on-line forms and trying to remember passwords. This product solves the issue and lets you get on with what's important. For the first time I can organize my dozens of logins and maintain them. I can also email them en masse to others as needed, and for many websites log in with one click. A lot of website URLs are not compatible with Roboform, and so cannot be accessed with one click; you have to copy+paste it, but it's not that big of a deal. Also, any website that deviates from just username and password requires addtional notes, and the information can't be auto-filled. If you accidentally sync to the master account, you may lose your logins. Check when you are saving new websites/data to RoboForm to make sure that the URL is the correct version, and that a test password is not saved accidentally. Managing dozens of different logins is almost impossible without something like this, and the fact that I can easily check, send, or update my logins is really helpful. "Great product, questionable sales tactics." Identities and Logins are stored securely and safely and auto-filled when needed. Identities takes the dreariness out of filling out your personal details online. Logins allows me to have a different password for every account I use, keeping my details secure and impossible to guess. I purchased my first license bundle years ago (version 5 or 6 I think), which gave me Roboform PC and 2Go. On the release of version 7, customers were told to buy new licenses, which gave you less for more £. I no longer have Roboform2Go because of this as I couldn't really justify the new cost and I felt very disappointed to be asked to purchase the same product twice. It's a good product, but they should be ashamed of themselves for using such tactics. Consider Roboform2Go if you're on the move a lot. Very neat product. As an engineer, I use this everyday to support customers remotely and the time I save on not having to look up details details specific to each client. It's a time-saver for sure. It also means I can store sensitive information and never worry it might be compromised. Ease to which Roboform saves the password. Ability to not only save web forms, but also desktop application passwords. 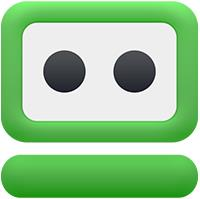 I have nearly 700 logins saved in Roboform. I use it across all my devices - Apple, Windows, whatever. Recently it has begun not working with some websites, even though version is updated. Use the trial version, put it to the test. You can only save a small amount of passcards, but try it. Generate secure passwords using their password generator. Save desktop application passwords as well. Ability to email passcards to fellow employees and they can save to their Roboform. Can generate very secure passwords. "Great product I've used for many years"
I love the ability to store my passwords securely and be able to view them when I forget them, or have the automatically go to the website and login. The ability to password protect individual site passwords or password protect everything is great as well. What's to dislike? It annoys me that the default "save this password" prompt defaults to password protected. I'm sure there must be a way to change that, but it doesn't annoy me to go look. You won't be disappointed. I don't know what I'd do without it! This solves the problem of not remembering my passwords. I connect to dozens of customers a day, and with RoboForm I don't have to look up the passwords for each customer. Also, when I am required to change my password every x number of days, RoboForm updates when I change them so it's not a problem to remember. "Never Have to Search for Passwords Again!" With RoboForm, I only have to remember my master password. After I log in, I can log into client's accounts with one click. RoboForm will not only go to the page that I want, such as WordPress, Facebook, etc., it will autofill the username and password. I use the Free version, so my qualms with the product are that I am not able to sync across all devices and I do not have web access. If you need to sync passwords across multiple devices, I would consider buying the Everywhere version. We were able to put all client logins under one roof, streamlining the process. Makes filling out forms a cinch. Motivates me to work on longer job applications because it cuts down on the amount of time it normally takes to complete them. Interface is user friendly and I like the cute green logo. Would like to be able to use on mobile since filling out forms on phones/tablets is often time consuming and tedious. Saving vast amounts of time completing forms. The benefit of added time found in the work day can not be underestimated. Also cuts down on error rates/typos that may occur when filling out questionnaires. I can not begin to express how much of a time saver this product is. RoboForm has saved me countless hours when it comes to repetitive entry online. One of the best qualities of this software is that it can span multiple devices. Password is saved from your desktop but you're logging in on your mobile? No problem, RoboForm has you covered with the info saved (as long as you have it linked with both devices, of course). 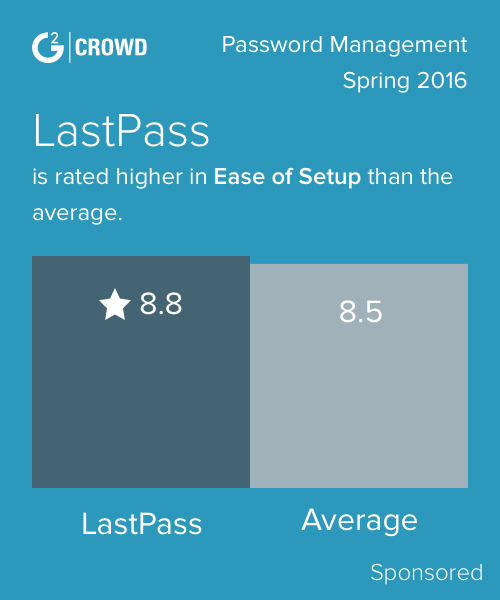 Many are unsure of password managers for security reasons; RoboForm is one of the highest rated and reviewed password managers to date. In my personal experience, I have never felt unsafe with RoboForm managing my passwords. Though i have not used RoboForm for an extensive period of time (a few months thus far) I have no complaints! The platform is easy to navigate and the software works as advertised. If you're tired of reentering your info multiple times, but aren't comfortable with the sites you're using saving your passwords, RoboForm is a solution you should consider. Eliminating wasted time of reentering passwords over and over. Central stored location of passwords for multiple uses. I've been in the IT business for 30 years and I have used a lot of applications to say the least. Roboform has become one of those tools that I can't live without. Roboform spans my professional and consumer requirements and bridges the gap that exits between the two worlds. I couldn't tell you how often I use Roboform throughout the day because it is as common for me to use as walking. Its worth mentioning, on the rare occasion that I had to use Roboform support they were responsive and solved my problem immediately. - Reliability: It just works, always, period. - Flexibility: For professional use, I use Roboform to keep track of the 100's of passwords and my corporate credentials. I can't remember the last time I had to call support for help in regard to anything that has to do with information that is unique to me that I am required to have. For reference I work for a large global manufacturer with over 60k employees, we have a lot of systems. For consumer use, I share my Roboform account with my wife so we both have access to joint accounts, family information, software licensing, passport info, you name it. We have a standard naming system and it works flawlessly for us. We have been using Roboform for at least 5 years and it's never failed us. We have nearly 1,000 records and I couldn't imagine how we would keep track of this information any other way. - Ease of Use: Roboform has worked so well for me that I purchased accounts for my 2 children when they were old enough to start using computers. Both are teens now and they use it, if it wasn't simple they wouldn't use it. Need I say more? - Integration: Works flawlessly with Chrome, IE, Safari, apps, iPhone, Android, Windows Phone. Its cloud based with a local cache, its always available for anything I need it for. - Features: I love Roboform's layout and functionality. I love that it asks me for passwords, has a flexible password generator, has the ability to create custom forms, and lets me keep my personal information neatly categorized and accessible. Search works flawlessly as it should, I am always surprised when search doesn't work in a particular tool, not the case with Roboform, it just works. - Value: I think Roboform is fairly priced for the value I receive. I have no problem paying my subscription, and I don't particularly care for subscriptions but this one is a no brainer. If I had to pick on one thing that doesn't live up to the spectacular performance of the tool on general I would have to say that Mac integration isn't as good as Windows, Windows Phone, and Android. Roboform works on Mac and with Safari, and iOS but its not as feature rich and there is a little more manual interaction than with the other platforms. This said it works fine, just could use a little more attention and automation. I use all of these platforms interchangeably, they all do something a little better than the other and I enjoy using the best platform for the task at hand. My primary platforms are Mac running windows on VMware, and iPhone. Download Roboform now and start using it. Roboform will simplify your digital life. Roboform works with all my browsers & mobile devices. The interface is a little clunky - you can tell that it's an older desktop application with a new coat of paint. Not elegant but It does the job. The problem is remembering hundreds of passwords that keep changing - Roboform helps. "the best way to save passwords"
login ID and password all in 1 place. automatically logs you in to accounts and stores credit card info for 1 click to fill in. nothing at all. this product is great. a must for storing all the id's and passwords you use on sites. keeps all passwords in 1 place. "Easy to use password manager"
Fast, secure, access to all my passwords. In built password generator which is customisable to meet a variety of password requirements. Stores personal data securely for ease of filing in online forms. Nothing needs to be changed, it does exactly what I need it to. Its the best password manager because it syncs passwords across all of my devices. my work requires me to have complicated long passwords and its nice to have a safe way of storing them. There is nothing to dislike, I am sure my company would prefer the cost to be lower but it does not affect me. I have never had any issues with the software. We have helped maintain security with confidential information. It's a safe and reliable way to manage our passwords. It helps prevent any hackers from gaining access. I am the maximum offender when it comes to forgetting passwords! Can't live without it - syncs to my phone, tablet, laptop, desktop.... passwords whenever I need them! There is truly nothing I dislike - I think it's a great program, and have made sure to put it on every office computer. My company manages many different accounts for many different clients and customers. I have a hard enough time remembering my own information, and having all of our client's page info in one spot is perfect. I can have several different passwords and not have to worry about remembering them. I can change passwords as often as I think necessary and have RoboForm remember the changes. It is safe, secure and easy to use. Nothing so far. Sometimes it pops up when I don't want to capture a password but I would rather it do that to keep me from forgetting about it. It is easy to use and no issues with security. For security purposes I change passwords frequently. It was a pain trying to track passwords for all my accounts. RoboForm was just the solution to my problem. "Very helpful, Consistent Interface, Works with all browsers"
The user side has been consistent for years. All the updates have improved speed, options and reliability. The updates have not forced users to relearn the system. Viewing a password / Log in is a two click process. Recommend. Good, affordable, simple solutions. "Top 3 Best Password Managers "
Flotating icon in Android is the best features. Is one of the best, but just have to wait more features the next moths. All works ok. I just have to rememeber one password. "RoboForm - super slick form filler and password manager"
Super slick add in for Internet browser to auto fill forms. I like it for entering sweepstakes. Very secure. Add-on can be disable or enabled as needed. Sometimes doesn't recognize fields. Not a big problem. Try it. You can always uninstall if you don't like it. It's a simple extra toolbar for your internet browser. "Used it a while back and it was great - still not rewarded and way past 48 hours"
Functionality to store all your logins and passwords in one secure location. Cross-platform so my data can be accessed from multiple devices: Windows7, Android. A cost is associated to utilise on all your devices. Browsing on my tablet you need to use the browser provided as part of roboform application. For individual users you can easily utilise the web browsers like chrome and firefox which provide auto login/password features. Roboform goes one better by allowing you to view your details. An alternative solution worth looking at is Laspass or perhaps an Anti-Virus security suite which will offer a password vault, such as Kaspersky. Simplifies your life, and absolves you of having to remember lots of different logins across sites. I don't like the concept of RoboForm Everywhere. While I understand the convenience of having your credentials sync to all of your devices, putting your password database out in the cloud is a very direct and lucrative target for hacking. Thankfully this is an optional, but frankly it scares me that users have this option. It can simplify your users' lives. Be appropriately cautious about the cloud options. "Fantastic for password and form storage"
Also great that it can capture passwords on websites that do not allow embedded IE or Chrome password forms to capture. Really good tool. Try Keepass for a freeware version if requirements are very limited. * We monitor all RoboForm reviews to prevent fraudulent reviews and keep review quality high. We do not post reviews by company employees or direct competitors. Validated reviews require the user to submit a screenshot of the product containing their user ID, in order to verify a user is an actual user of the product. Hi there! Are you looking to implement a solution like RoboForm?